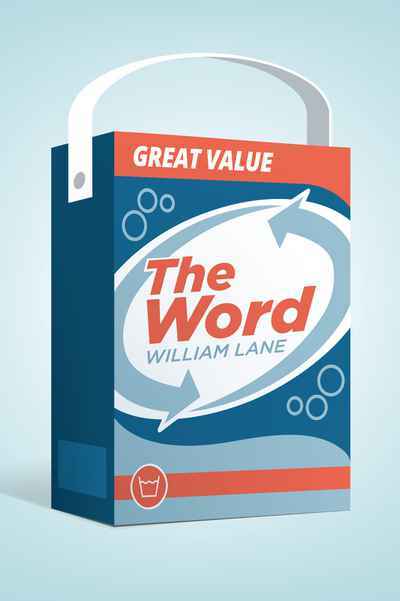 William Lane's disarming new novel, The Word, brilliantly satirises the ways in which we use language to define our lives. Kenric is an oddball advertising eccentric who possesses an unusual gift for language. The brands he names, sell. Yet he comes to believe advertising uses language too cynically. He is inspired by Maria to abandon the corporate world and establish a small residential community called The Word. The idealistic community relocates from Pittwater to a warehouse in industrial Mount Druitt, gathering about it others concerned with the misuse of language. The Word is both a charming ensemble piece of unforgettable characters, and an astute and humorous exploration of the ways in language beguiles, creates connections, but also misleads. Lane understands the human tendency to seek answers and directions in the unlikeliest of individuals but is happy to show us the folly of doing so. As such the novel parallels current world trends, while evoking with candour Sydney's watery beauty and suburban harshness.